In this tutorial you will learn: How to sharpen a picture. You see here a wall painting which looks a little bit blurry. Let us sharpen this painting. For precise work - we should zoom into the picture. Select the magnifying glass and click on the castle. Press onto the "sharpen" button to switch into this mode. Now we should use the big flat brush to sharpen the castle. Look at the merlons after our painting how sharp they are now. See you how sharp the castle now is? Now we should over paint the meadow - and also the hills. It's time to have a look at the whole picture, so let us zoom out. After that we should paint the bottom part of the picture, so that we see more details. You want more sharpness, so double click onto the "sharpen"-button. 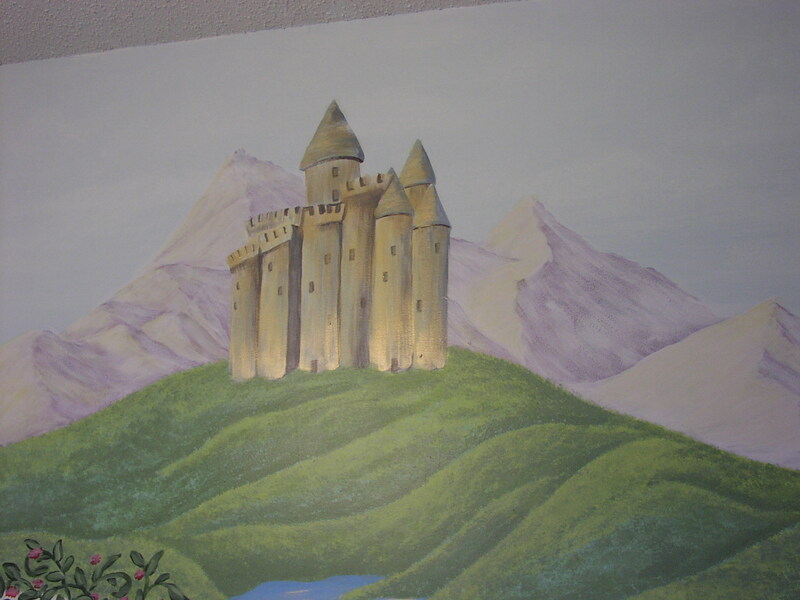 Now paint again the castle, do you see the difference?